What is the Boycott, Divestment and Sanctions Movement? In July 2005 a broad range of Palestinian Civil Society organizations issued a call for Boycott, Divestment and Sanctions Against Israel as part of a non-violent campaign to end the Israeli occupation of the Palestinian West Bank, Gaza and East Jerusalem. Individual consumers can show their opposition to Israel's occupation by participating in a boycott of Israeli goods and services. (You can read the call here) see more about the Israeli civil society campaign in support of BDS, called the Boycott from Within, here, and read CODEPINK's Statement on the Boycott, Divestment and Sanctions Movement. What is the Stolen Beauty Campaign? Stolen Beauty is a boycott campaign against Ahava Dead Sea Laboratories (see below). It is CODEPINK's contribution to the Boycott, Divestment and Sanctions (BDS) Movement against institutions and corporations that give tacit or material support to the Israeli government's continued violations of international human rights law. CODEPINK launched Stolen Beauty in the summer of 2009 after leading four delegations to Gaza, Israel, and the Occupied Territories, bearing witness to the devastating impact of occupation. What is AHAVA and why are we calling for a boycott? Ahava Dead Sea Laboratories (www.ahava.co.il) is a privately held Israeli cosmetics company that manufactures products using minerals and mud from the Dead Sea. Ahava's products—such as Grape & Avocado Body Wash, Dead Sea Mineral Mud, and Mineral Foot Cream—are widely available in high-end department stores and pharmacies throughout the United States and in Europe. The Hebrew word “Ahava” means love, but there is nothing loving about what the company is doing in the Occupied Palestinian territory of the West Bank. The company's practices are against international law. What international laws does AHAVA violate? The company's main factory and its visitors' center are located in the Israeli settlement of Mitzpe Shalem in the Occupied West Bank. 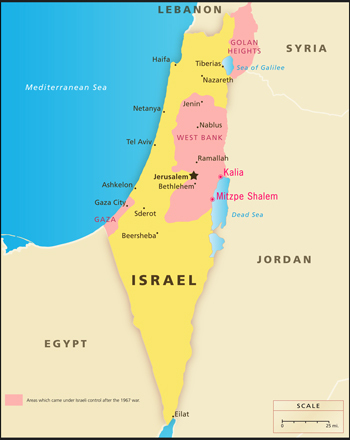 Ahava products are labeled as of 'Israeli origin,' but according to international public law, the West Bank cannot be considered to be part of the State of Israel. Ahava uses in its products mud from the Dead Sea, excavated in an occupied area, and thus it exploits occupied natural resources for profit, which is a violation of the Fourth Geneva Convention. Who owns AHAVA Dead Sea Laboratories? Do boycotts have an impact? In a report published in March 2009 in the Hebrew-language business paper 'The Marker' 21% of Israeli exporters say that they have been directly hurt by a boycott of Israeli products since the beginning of 2009 (see Guardian article about survey and boycotts) . The model that many proponents of the Global BDS Movement cite is the effectiveness of the international boycott campaign against companies doing business in Apartheid-era South Africa. When the profits to be made from occupation diminish, so does support for the occupation. Why should I join the AHAVA boycott? Don't let the “Made in Israel” sticker fool you—when you buy Ahava products you help finance the destruction of hope for a peaceful and just future for both Israelis and Palestinians. By joining CODEPINK's Stolen Beauty Campaign, you will be sending a clear message to AHAVA Dead Sea Laboratories and to your community that you are against the continued flouting of international law and the exploitation of Palestinian resources. Isn't a boycott against an Israeli company anti-Israel and anti-Jewish? The Stolen Beauty campaign is an effort to promote a just and sustainable peace for Jews, Muslims and Christians in Israel and Palestine. The boycott is not against people; it is against policies and practices that destroy hope for a just settlement to the conflict. We are working on this campaign with Israeli women—both Jewish and Palestinian—who believe that boycotts are an effective tool to work towards a peaceful and just future for Israelis and Palestinians. How can my group take part? If your organization would like to cosponsor this campaign, email stolenbeauty@codepinkalert.org. Your local group can participate by locating retailers that carry AHAVA in your community, approaching store managers or owners with our letter (scroll here to see letter) asking them to stop stocking these products from Occupied Palestine. If the store refuses, you can organize a "muddy" picket action on the sidewalk outside. Click here for our local action step-by-step guide. We welcome activist groups, religious institutions, and community organizations of all issues and denominations to join us in this effort for justice.